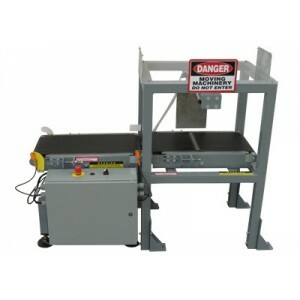 Intermediate Space Saver Pusher is a right angle pusher device with an overhead air cylinder used to pull the package across the conveyor, then retract to the “ready” position. This device is rated for weights up to 50 lbs. and rates up to about 20 per minute.